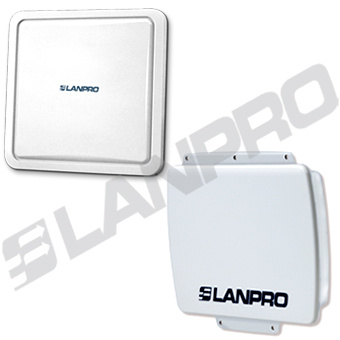 The VULCAN SERIES of radios from LanPro is high-powered and comes with or without the panel antenna-integrated design. 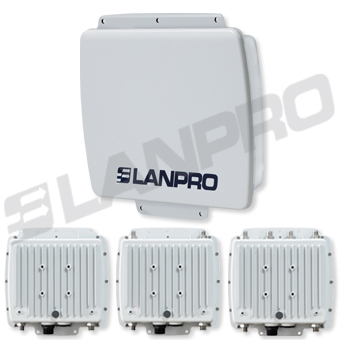 These radios are used for high capacity point-to-point backhaul for 5 GHz ISM band wireless deployment. and long distance operation in excess of 50 Km. 5/10/20/40 MHz adjustable channel bandwidth provides the flexibility of deployment channel plan and high capacity backhaul + truly total accumulated throughput (uplink + downlink) up to 40 Mbps with 40 MHz channel BW. It utilizes OFDM - TDMA - TDD technology which allows the operation of balanced uplink / downlink tunnels in a single channel with minimum collisions and the highest possible efficiency. VULCAN SERIES has powerful security management because it uses a proprietary protocol and supports WEP, WPA2 (AES-128 bits) encryption, and MAC address filter. All these functions make the network much more secure and reliable. The Ethernet products are primarily designed to provide standard Ethernet interface in a wireless link between distant sites. The ORION series are enterprise and carrier-grade High-Throughput Outdoor Backhaul PtP Ethernet Bridge radios which offer the user a powerful 802.11 MIMO solution with a robust and high performance design in the 5GHz band. It comes in two technologies: FDD and TDD. This series remove the useless features and protocol aspects for PtmP applications and Hotspot coverage to improve the throughput capacity and latency performance. * Basic Fixed Bridge and mobile mix application. MERCURY SERIES Classic Wi-Fi equipment. OFDM-csma/ca. * Line of sight required. * 5.8 GHz recomended for high quality PtmP and backbones (from 5.1 GHz to 5.8 GHz). 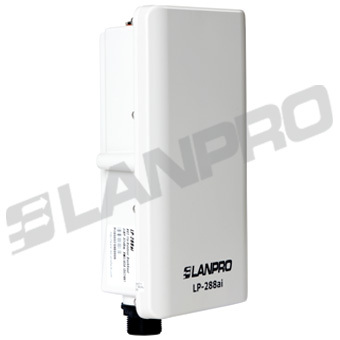 * 2.4 GHz recommended for low cost WISP. 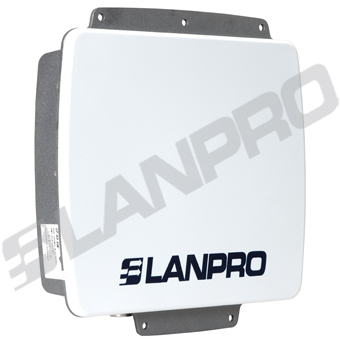 * This is a cost- effective solution that delivers up to 23 Mbps air rate for Ethernet and 4E1s (4T1s) traffic. * The 2/4E1 model's frequency available in 2.4 GHz and 5 GHz. * The FE1/V.35 model's frequency Available in 700 MHz, 900 MHz, 2.3 GHz, 2.4 GHz, 2.7 to 2.9GHz, 3.3-3.7GHz, 4.9 and 5GHz. The ATREX Series are MIMO PTP / PTMP Ethernet Radios mainly used for Last Mile service to high speed clients in Licensed Bands. Come with or without integrated panel antenna. * Channel bandwidths of 5, 10, and 20 MHz. Not Wi-Fi compatible. * Operating frequency range <= 40 MHz. * Output power of 1 W and 5 W on UHF bands. 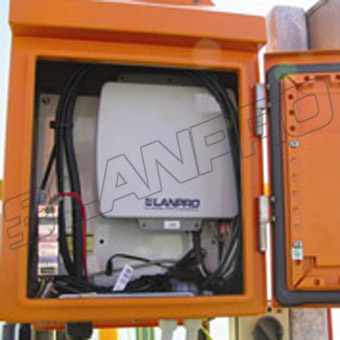 * Available UHF frequency bands: 300 MHz, 400 MHz, 500 MHz, 600 MHz, 700 MHz, 800 MHz and 900 MHz. 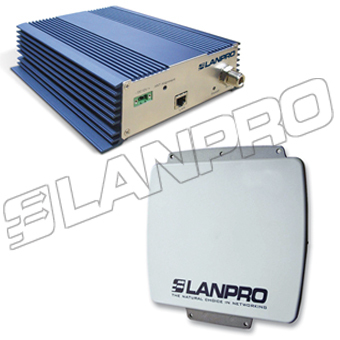 * Customized output power and frequency from 300 MHz to 6.06 GHz. * TDMA & QoS capable for PtmP applications. * The UHF frecuencies show non-LOS capabilities. * Over 2.4 GHz are LOS only. It provides the TDMA QoS and data flow control Nx64 Kbps for their own CPE. * SNMP and PoE ready. 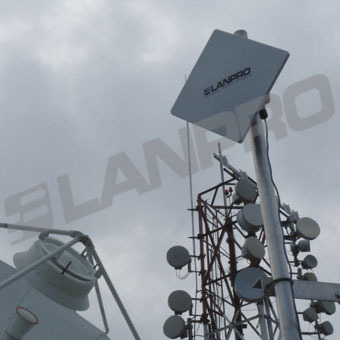 * Atlas series is designed for TelCo Business. The ASTRUM series are enterprise and carrier-grade 802.11N Outdoor Wireless radios which offer the user a powerful MIMO-OFDM solution with a robust and high performance design in both 2.4GHz and 5.8GHz ISM bands. The Multi-Hops Repeater function in ASTRUM Series offer the user a great solution for PTP / PTMP/ Hotzone applications by integrated multi-radios interfaces (up to 3x Radio modules) and Fast Data Switching technology from LanPro. 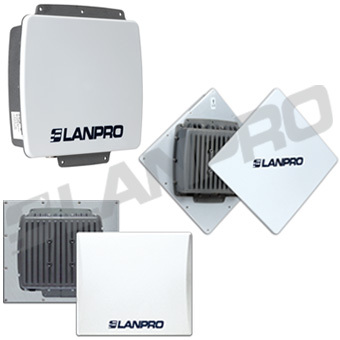 This series is the ideal solution for Service Providers to deliver carrier-grade wireless services to multiple market segments such as campuses, hospitality, healthcare, warehousing and wider metropolitan area deployments. Even in the NLOS environments, this series shows incredible efficiency on multi-hops repeating – truly throughput ≥ 100Mbps and only ≤ 15 ms total latency after 10 extended hops. Much different from the traditional Wi-fi that dropped 50% throughput per each extended hop and can’t get reply from remote device after 5~6 hops for too long latency.